FLIR has expanded its award-winning line of FLIR FB-Series thermal security cameras to include the first models with 640 x 480 resolutions. Originally launched in early 2018 with a resolution of 320 x 240, the FB-Series now has a broader range of resolution and lens options to suit any application. 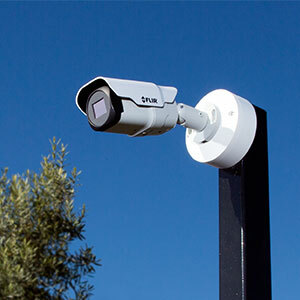 FB-Series is a compact, fixed bullet camera line that offers wide-to-narrow coverage of commercial and industrial facilities, reducing the number of cameras required to monitor fence lines, perimeters and open areas. The FB-Series produces crisp thermal video in challenging conditions, including total darkness, sun glare, smoke, dust, and light fog. FB-Series cameras are available with built-in analytics (FB-Series ID) or without analytics (FB-Series O), depending upon user needs. Analytics enable better classification of human and vehicles, while dismissing innocuous targets that might otherwise trigger alarms. The result is more reliable detection with fewer false alarms. The FB-Series family also offers “plug-and-play” compatibility with major video management systems—including FLIR United VMS—using hybrid, IP and analog outputs. This introduction further strengthens FLIR’s position as a leader in providing one-stop solutions for professional security and perimeter protection, including thermal and optical (daylight) cameras, radar, United VMS, and Cameleon perimeter intrusion detection software.